Long Rolled Brown Leather Handle with chrome rings. 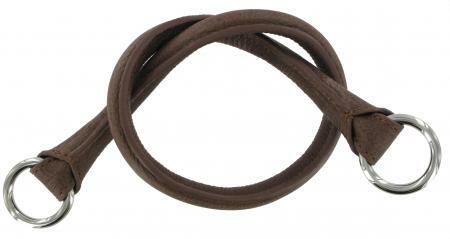 This is a rolled leather handle designed for holdalls and large bags. It is available in brown leather with chrome finish rings only as shown and requires some skill and tools to stitch it to the chape of the case or bag. The approximate handle length is 22.5" from tip to tip. Please note these handles are sold individually so if you require a pair please add two to the shopping cart.